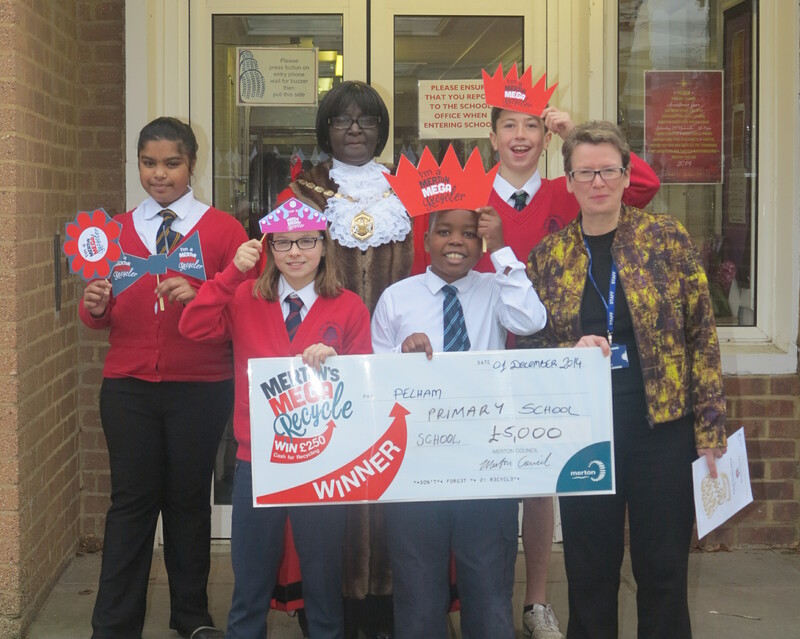 Mayor of Merton Councillor Agatha Akyigyina announced Pelham Primary school as the winner of its Mega Recycle community award, presenting the pupils with a cheque for £5,000. 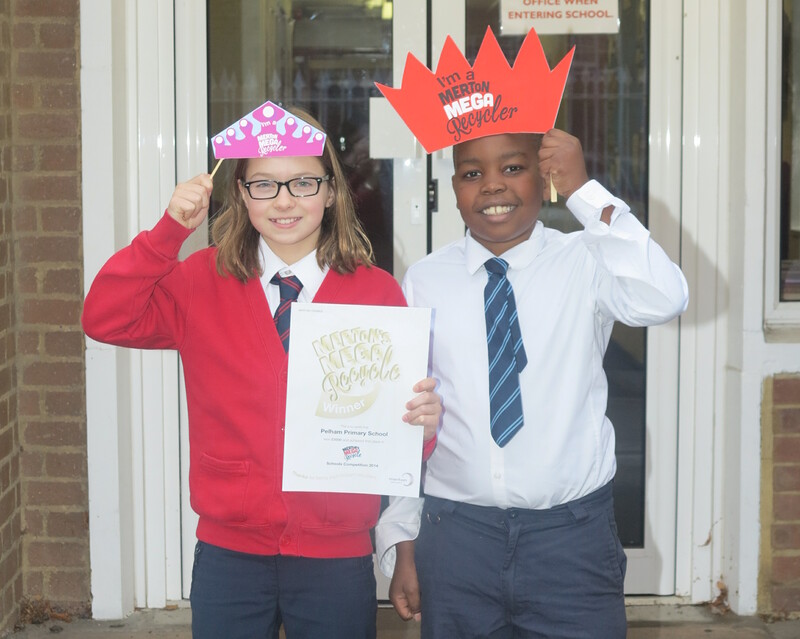 The school has won the prize by gaining 286 nominations from local residents. As part of the Mega Recycle, the school has encouraged many people to recycle as much as possible. To be in with a chance of winning a cash prize, all residents and businesses need to do is sign up to the Merton Mega Recycle and take the pledge online. Everyone who signs up will be entered into the draw every month. Eleven households are randomly selected each month: one will win £250 and the other ten will win £100. Residents are now also able to donate their winnings to The Mayor’s Charitable Trust.